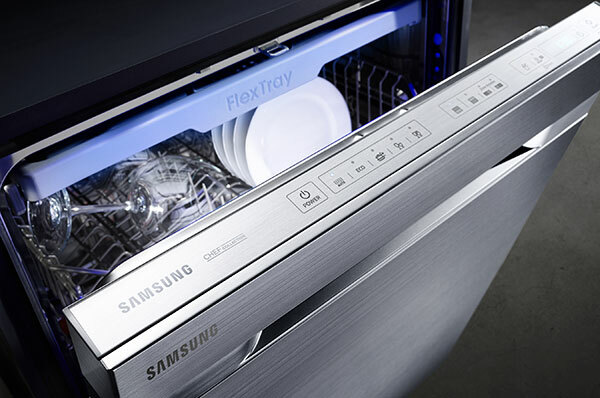 Samsung has launched a wide range of smart appliances aimed at European high-tech kitchens. 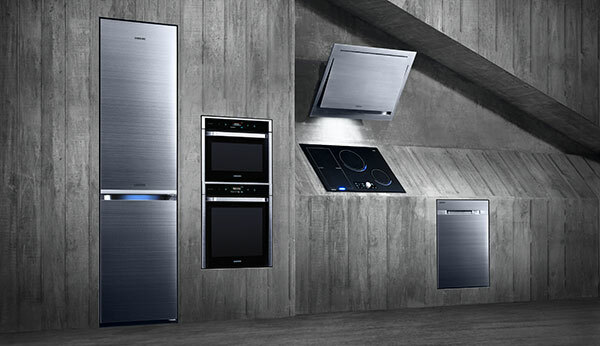 Included in the newly announced culinary tech are; Gourmet Vapour Technology, Gourmet Vapour Technology, Samsung Waterwall and HotBlast Smart Ovens. Many of today’s announcements fall under Samsung’s Chef Collection range. The whole range is said to have been developed with the help of Europe’s Michelin star chefs to help bring professional culinary technology to the home. The associated appliances are said to be inspiring, exciting, handsome looking and better performing. 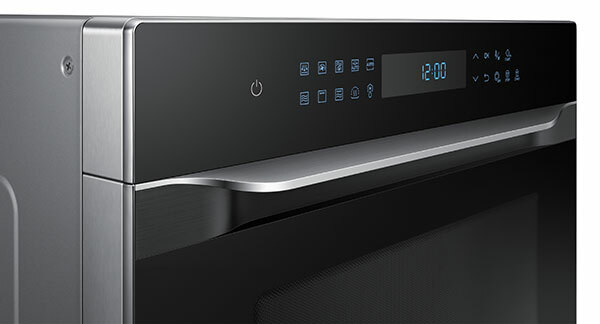 In a separate but related announcement Samsung launched its MW8000J HotBlast™ Smart Oven. 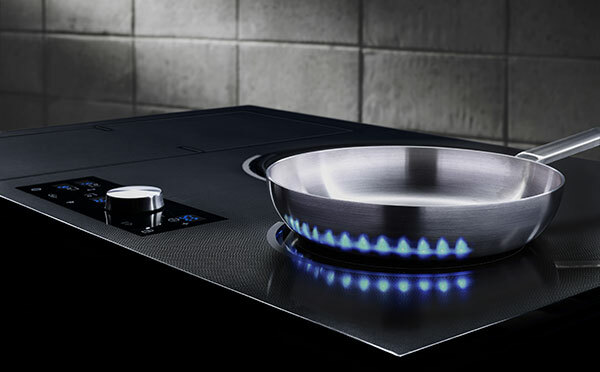 This oven boasts “Significantly Reduced Cooking Time,” and in fact Samsung claims it is a “new way of cooking”. The HotBlast oven fired powerful hot air jets downwards onto the food for 60 vents and then recirculates the heat with a 154mm fan. The result is that food is cooled thoroughly up to7% quicker than a regular convection oven. Samsung says the HotBlast technology won’t make your food any less delicious than a traditional convection oven and says users will enjoy food with “delicious flavour, staying crispy on the outside and juicy on the inside”. For food that tastes like its fried Samsung mixes HotBlast air with a touch of oil to provide ‘Slim Fry’. In addition to the above Samsung has incorporated a 2,250w PowerGrill Duo into the over with ultra-wide heaters for powerful even browning and grilling. Combined with a Crusty Plate function your pizzas should be just like from a traditional clay oven. Furthermore the 380mm wide interior provides plenty of room for even the largest pizza, we are told. The Crusty Plate also said to be great for foods like baguettes and chicken portions. Beyond its cooking abilities the MW8000J is said to be both durable and easy to clean, anti-bacterial and scratch/rust resistant. It will be available in Europe later this month.